❀ Please follow all Marriland Rules. ❀ Please treat other islanders with respect and kindness. ❀ Please put some substance into your posts. Contribute to the conversation in someway or make your own topic. ❀ If you plan on going inactive, please let a leader know. ❀ If you do not let a leader know and have not posted within a month, you will be kicked. There are no inactive lists. If you find yourselves kicked, you'll need to apply again and everything you earned while being an islander will be lost. ❀ If you are not a member, I do not mind you posting here on occasion. However, if you want to actually participate in the discussion, you'll need to be an accepted member. ✧ Version four is up! Yey to a new version and new forums. ✧ Silver has been removed as a leader (I know, I'm late)! ✧ Due to all the new forum stuff, everyone who isn't a captain/quartermaster needs to apply for membership again. You will regain any points from the last version. Just need to make sure everyone makes it back to the island safely! Bubbles are the currency here on the island. Stored under your name on the member list, collecting enough of these will allow you to buy some exciting things in our Mew Mart down below! ✧ Being a member! All members automatically earn three bubbles per week. ✧ Posting a lot! If you post at least 15 times a month, each subsequent set of five posts will earn you two bubbles a batch until the end of the month. These extra bubbles will ONLY be given at the end of the month, same as everyone else. No exceptions. ✧ Participating in club events! 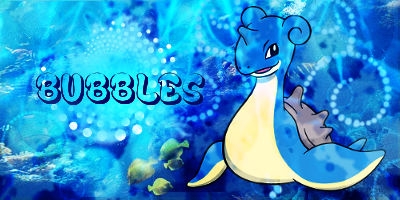 There is no set amount for this as each event is different, but bubbles will be awarded for participation. 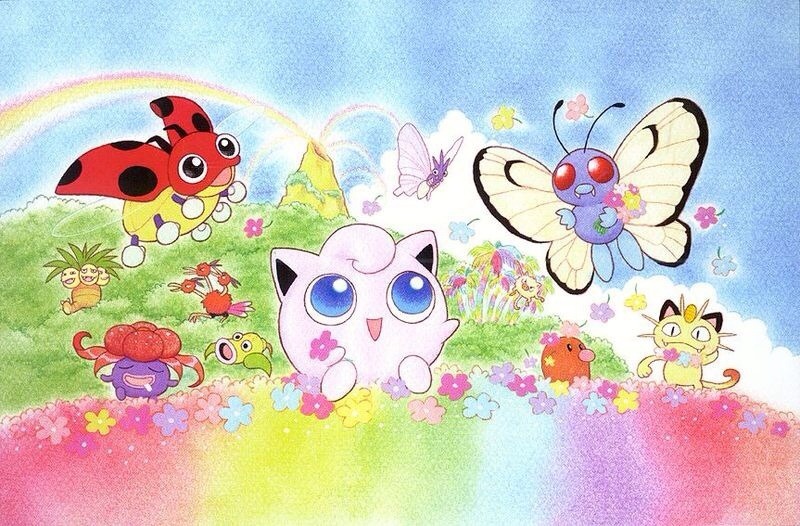 ✧ Referring new members! If a new member is referred by you and successfully joins using our super secret code word, you'll find yourself rolling in ten extra bubbles! Would you like to earn more bubbles per week so you can buy more stuff? The Southern Island now has a rank system that you climb by collecting Rank Points, so you can do just that! While the first rank will offer no additional bubbles per week, each subsequent rank will in increasing numbers. Note that RP are not spent and will stay constant. They will only ever reset and go back to zero if you leave the island for any period of time. Your current amount of Rank Points, as well as your current rank, will be displayed under your name in the member list. ✧ Participating in club events! While RP may not always be available as a prize, you'll definitely want to grab them when they are! ✧ Celebrating a birthday on the island! Is it your birthday today? Let everyone in the club know and we'll celebrate together! You'll even get 1 free RP. Fancy! ✧ Waiting for random RP gifts! Indeed — at the discretion of any of your Captains (Bijou, Merushii, or Ice_Dragon), small amounts of RP may be randomly distributed at any time, for any reason. Be on the lookout and stay active, or you may miss them! 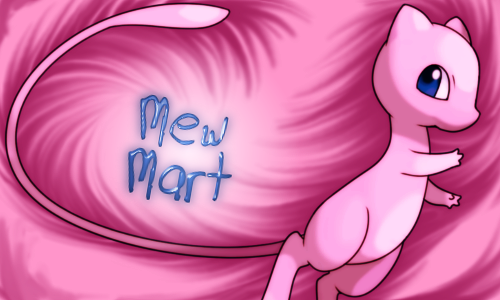 Here at the Mew Mart, you can use the bubbles you've accumulated to purchase various things. Pick out what you'd like to buy and post in the club. A Captain or Quartermaster will deduct your bubbles and give you what you ordered! Version 1: Peace, Love, and Chatots! Version 2: You are meant to thrive, not survive~! Version 3: I wanna let you know, I'll never let this feeling go. May 27th of 2014: The Southern Island has been created. December 8th of 2014: Merushii had been promoted to leader. 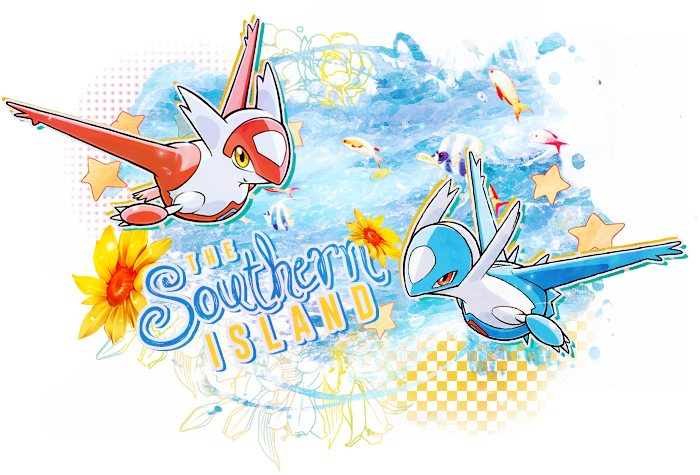 May 27th of 2015: The Southern Island reaches its first birthday! 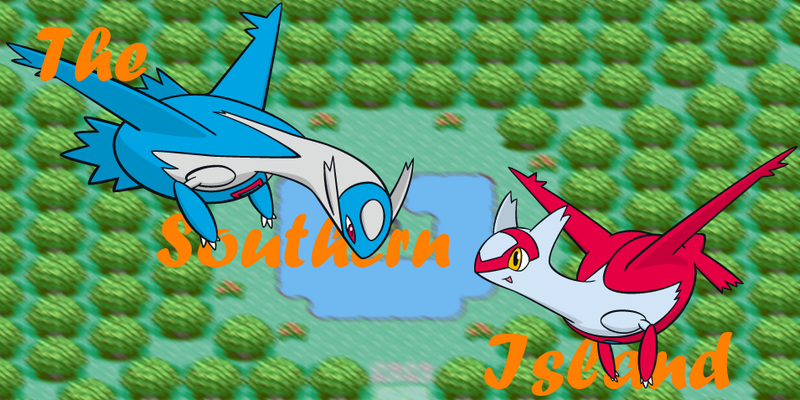 December 4th of 2015: Version two of The Southern Island has been created! May 27th of 2016: The Southern Island is now two years old! July 17th of 2016: New activity policy~! 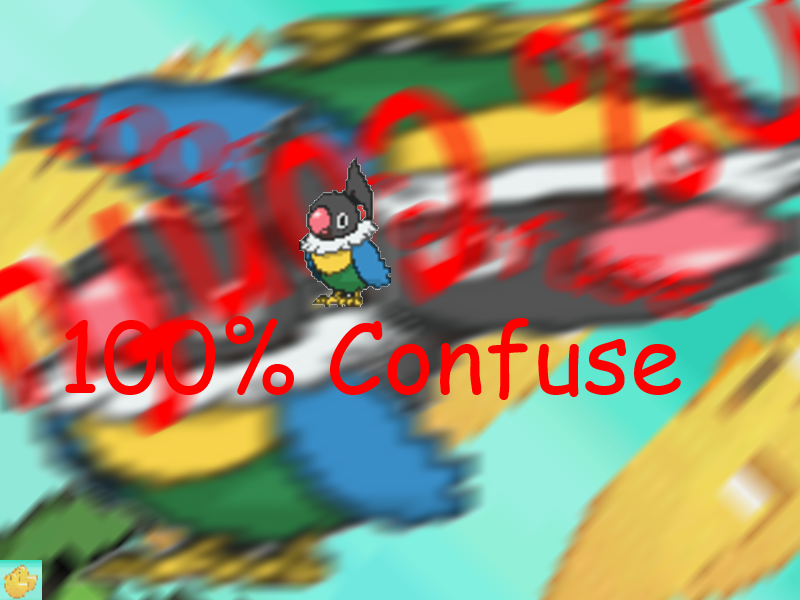 November 14th of 2016: The Southern Island now has a currency, a ranking system, and a shop. August 2nd of 2018: Version three is up. Revan has been promoted to Quarter-Master! November 1st of 2018: Version four is up. New forums. Same island! 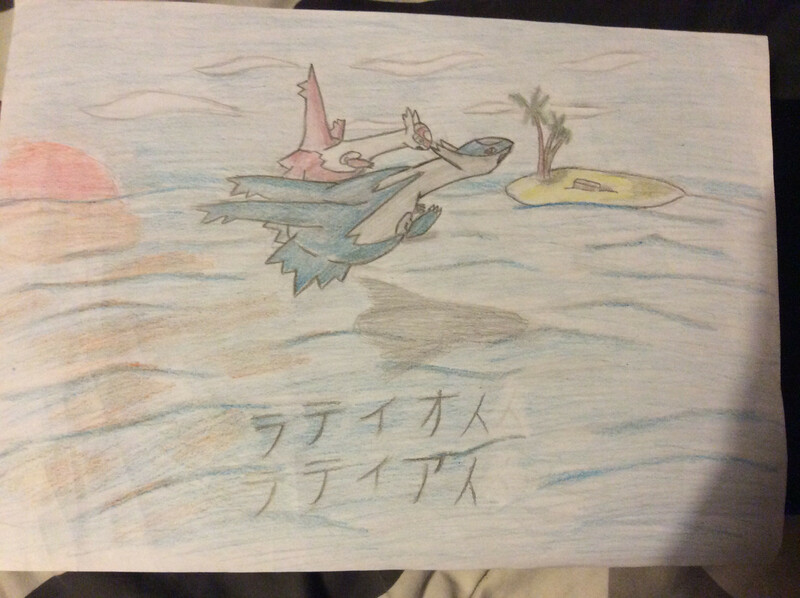 Here we have the creative works that were either donated by members of our lovely forums, or by our lovely islanders. If you have any artwork to donate, feel free to either pm a leader or post it in the club! Disclaimer: I know usernames are outdated. ; ; Will get to this eventually. I’d like to join again! Seahorses. People are so excited they are not letting me post my introduction post. ; ; Anyways new announcements and cheers to version four. Seahorses! Never thought I'd put that in again really. We get all our old customization on top of our points, right? Hey Tap! Glad to see you made it back to the island safely. Hey there, all who are rejoining! Great to have you guys still with us on the island. ^_^ So, how's everyone doing? I'm doing pretty alright. I will say that I'm ecstatic I'm finally able to post on the new forums!